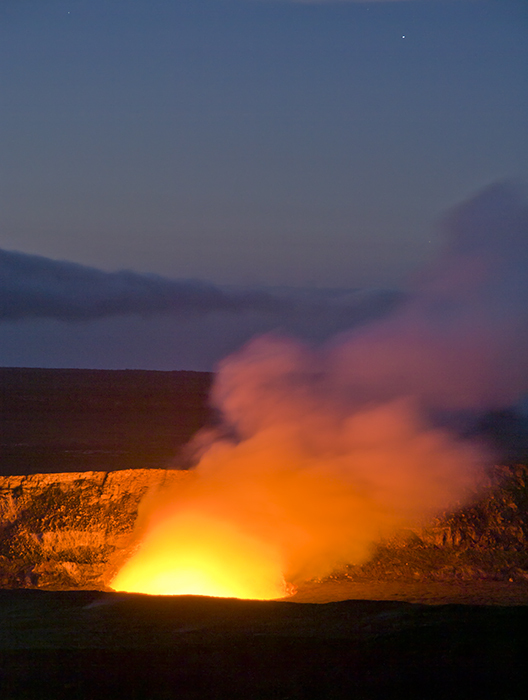 Hale Maumau Crater before dawn, Kiluea Volcano, Hawaii Volcanoes, National park. Hawaii. Just saying the name conjures up visions of a tropical paradise–palm trees, trade winds, sunsets and hula dancers gyrating to the rhythms of the eight major islands that make up the archipelago. Our fiftieth state boasts two national parks. There’s mighty Haleakala on the island of Maui and, the subject of this article, Hawaii Volcanoes National Park on the Big Island.